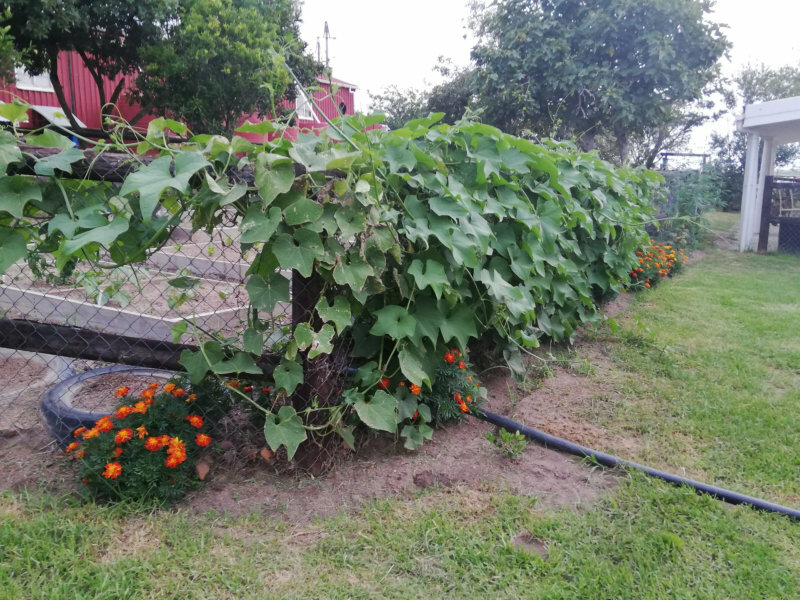 We have some tyres in our veggie garden, along the fence and I thought it would be great to plant a Granadilla to climb along the fence, so I gave a plant to Jonathan and told him where to plant it. He did! All of a sudden, this “granadilla” was going crazy and basically taking over. I took my 87-year-old mother to see this really strong plant. She said, that’s amazing, but where did you plant my Madumbi? I told here right next to it. Then Filip was watering the garden from outside the fence and rested his arm on “the plant” he INSTANTLY came up in a HUGE rash and we had to take him to the doctor! He told Filip to be very careful Never to eat Passion Fruit anything as he is Highly allergic! So I looked online about allergies to Granadilla. I saw that they had smooth, shiny leaves, this one has furry leaves. Then the hunt was on. What the hell is this plant? We asked everyone.. So I went back to my mother and asked her, where actually did your Madumbi come from? “Oh, John, my brother brought it from Natal” I said, “did you see it, mom?” She described a gourd type plant with a stem growing out of it! 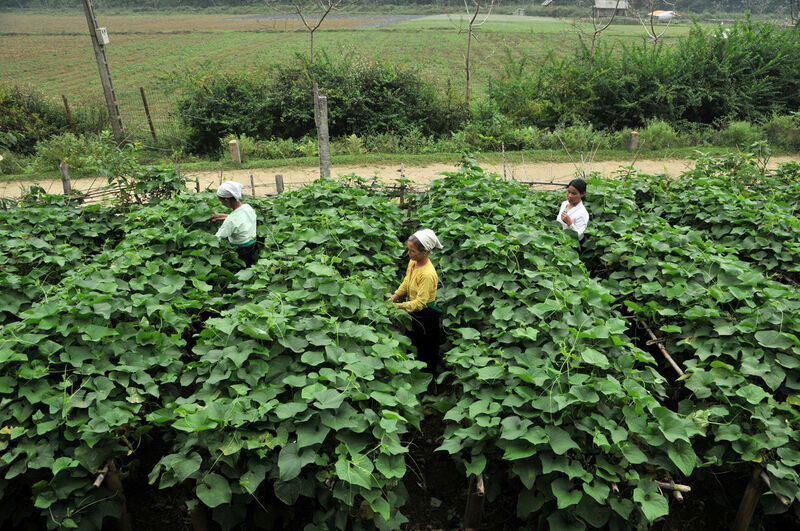 Yes, Google said, this is a Chayote I can’t even pronouce that..but apparently it is a GREAT, HEALTHY, vegetable. Mystery solved, then I did some research. What an amazing Plant! It grows over 5 meters tall and wide, and just carries on year after year!